4401 Montevallo Rd, Mountain Brook, AL.| MLS# 831792 | Richard Jacks UABLIVING.com 205-910-2297 | Birmingham AL Real Estate | Contact us to request more information about our Homes for Sale in the Birmingham AL area. 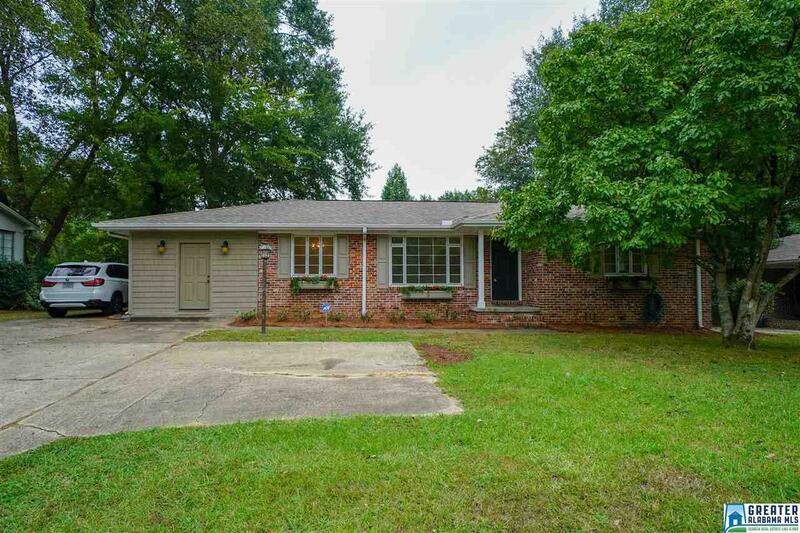 Welcome Home to this perfect move-in ready renovated brick home. Featuring one level living at it&apos;s best includes open living room with large picture window, formal dining room, wonderful spacious kitchen with beautiful tile countertops, tons of cabinet space, stainless steel appliances, tile flooring, pantry, breakfast bar and lots of natural light. The kitchen is open to the fabulous keeping room or use as a large eat in area with French doors leading to the large deck and fenced in flat backyard. You will love the privacy and entertaining family and friends. Great Bonus/Den w/separate entrance that is wonderful for guest or family. Master bedroom with newly renovated master bath includes open tile shower, pedestal sink, and lovely flooring. Two additional nice size guest bedrooms and full bath. Additional features include gorgeous hardwood flooring, beautiful landscaping, covered front porch, window boxes on front windows, extra parking pad and very convenient location. Must see! Driving Directions: East On Montevallo Road The Home Will Be Located On The Right Before McElwain.